Police across the province are investigating threats made online against schools in Edmonton, Calgary and Camrose over the last two days. Five Edmonton schools — Eastglen, Centre High, Jasper Place High, W.P. Wagner and J. Percy Page — received threats online, said Edmonton Public Schools spokesperson Megan Normandeau. Eastglen and Centre High were briefly "on alert," meaning external doors were locked while classes continued, she said. 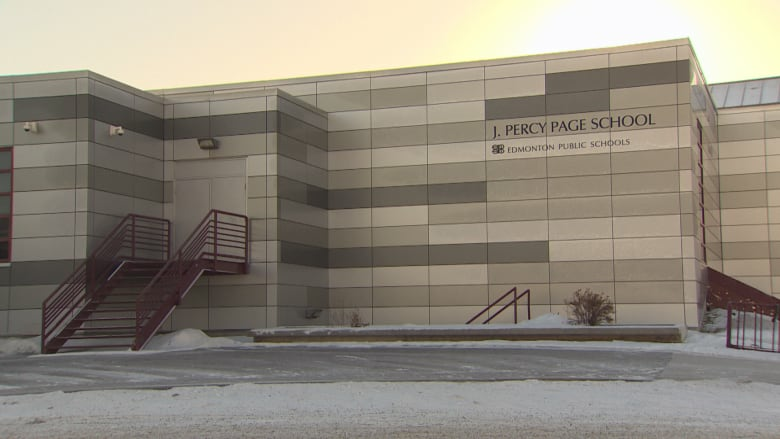 Edmonton police confirmed to CBC News that photos of two firearms circulated amongst J. Percy Page students on social media. "Police have conducted an investigation into this specific threat and do not believe there is any present danger to the students, staff or public as a result of this social media post," an Edmonton Police Service statement read Monday. "Investigators believe the images circulated in two school threats to be stock images obtained online. The images are being circulated amongst students as far as Winnipeg, MB." The sources of the threats were quickly identified due to swift reporting from the public, police said, but no further information is being released. Meanwhile, Calgary Police Service investigated threats against various schools throughout the city. "At this time the threats are believed not to be credible and there is no concern for public safety, however we are continuing to respond and thoroughly investigate each reported incident," Calgary police said in a statement Monday. Staff and students at École Camrose Composite High School were locked down Monday afternoon following an external threat on social media. Just after 2 p.m., the situation had been resolved and classes were back to normal, Camrose Police Service reported on Facebook.